I love O’Doughs. Ever since I tried their bagel thins, I was a fan. Then their sandwich thins. Now I’ve found their flatbread. This review is about the flatbread. 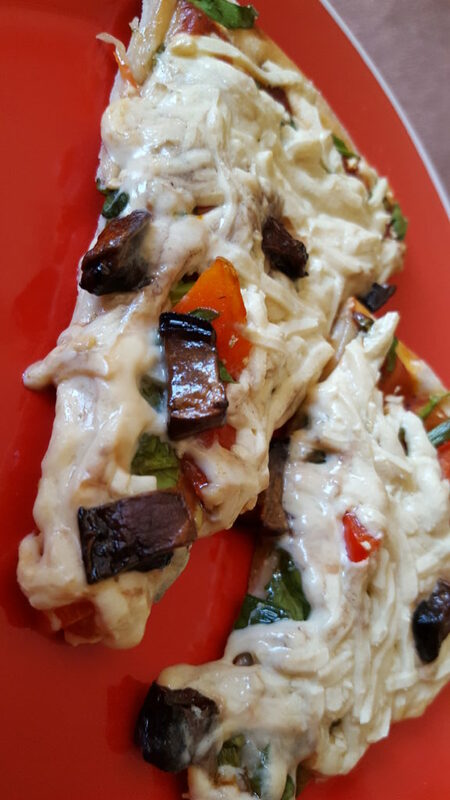 The delicious, gluten free, vegan, non-cardboard flatbread! Finally!!! 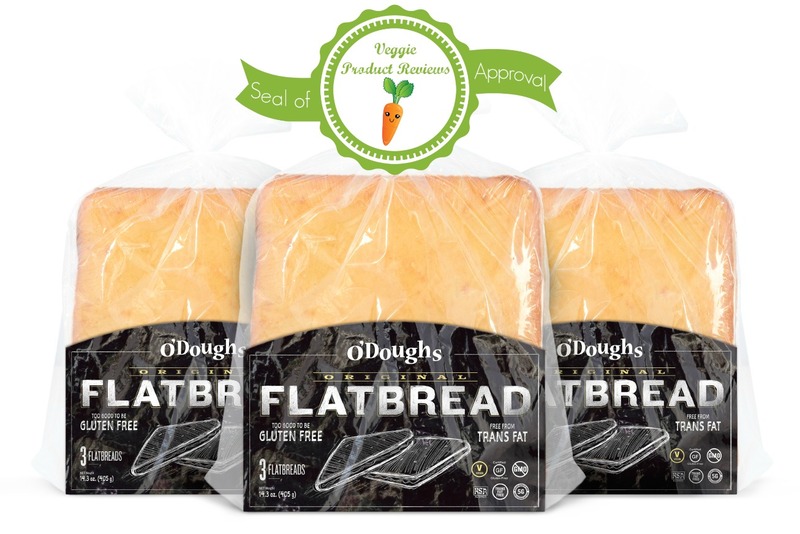 We made pizzas using this flatbread and let me tell you, it was incredible! It was nice and thick and didn’t fall apart. Look how fluffy and dough-y it is. Makes a quick, easy meal. Just top with whatever you’re craving and then bake. I don’t have any cons for this product, but I DO have one con for O’Doughs in general. While I was perusing their website, I realized that they had a LOT more products than i have seen in stores. From reading their home page, i got the impression that all of their products were vegan. When I looked at the ingredients for their muffins and cakes, I realized that those products contain egg. Break my heart! Guess i’ll have to settle for their bread-type products and keep baking cakes and muffins myself. 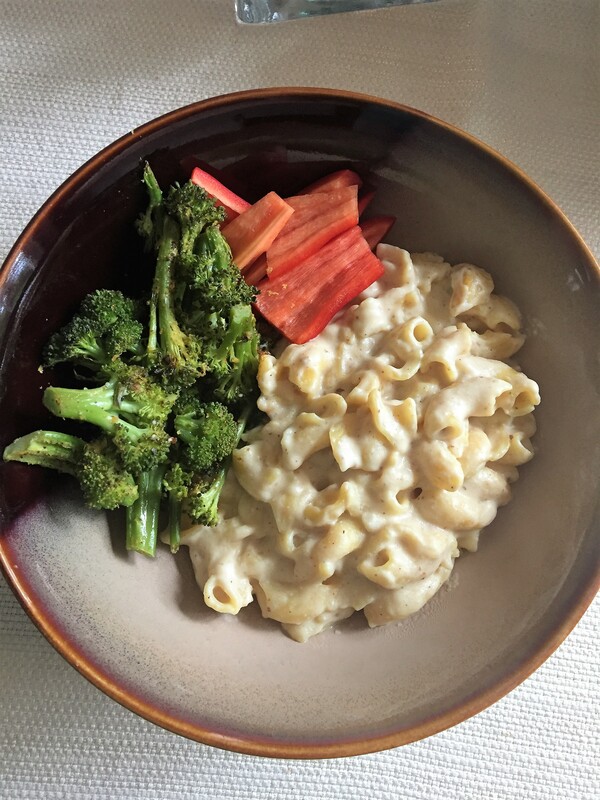 Those days roll around when you need to do something quick for a meal. When those days hit, I like to have a frozen pizza on hand. I try not to rely on that often, but when I do I want a good pizza waiting for me to pop in the oven. I don’t like to feel like I am eating junk food, so I serve it with a salad full of veggies, and sometimes fruit. While I enjoy many of the vegan gluten free classics, I sometimes crave new flavors. I was delighted when I heard that Tofurky came out with a line. I was even more delighted when I learned that I could find one of those locally. Overall Grade: A. I really liked the combination of BBQ sauce, chick’n, onions, cilantro and corn. I would buy this again and hope to try the other flavors listed on the website. It is nice to have a vegan protein on pizza every so often. Tofurky was NOT skimpy on the toppings, like I’ve seen on other frozen pizzas. I like a lot of toppings on my pizza! The crust was good. I have to comment on the crust since this is a gluten free pizza. 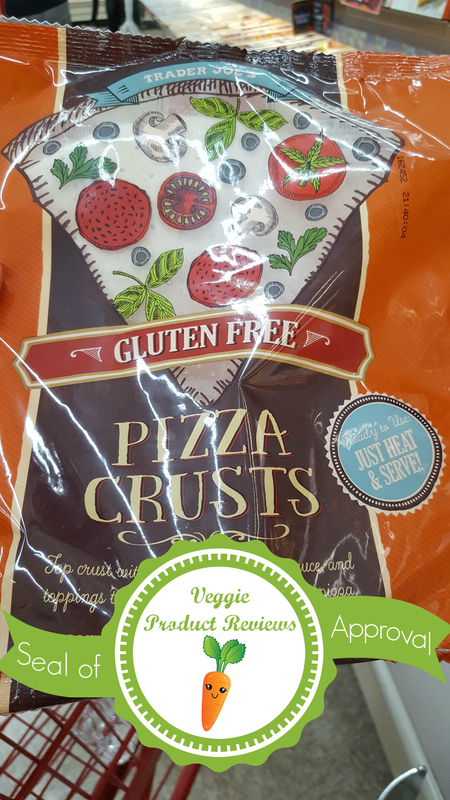 Not all gluten free crusts are created equal. The BBQ sauce was a little too sweet for me. I prefer more of a tangy sauce. This pizza is too small to feed 2.5 people. I’ve noticed this with all vegan pizzas. Maybe they think we eat small portions? The pizza is expensive. I don’t remember the exact price, but it is at least, if not pushing, $10. In my opinion, that is entirely too much money for the size of the pizza. We at Veggie Product Reviews have had a lot going on and hope you will excuse our absence from posting. We have been enjoying many new products and hope to get back to regular posting soon. When things get busy, sometimes you need a little help in the kitchen with something quick. I don’t like to include processed food on a regular basis, but sometimes feel like it is called for. When we eat a processed item, we try and have something healthy with it. This post is about pizza and if we do a frozen pizza, we generally make a fresh salad with spinach, greens and fresh veggies. 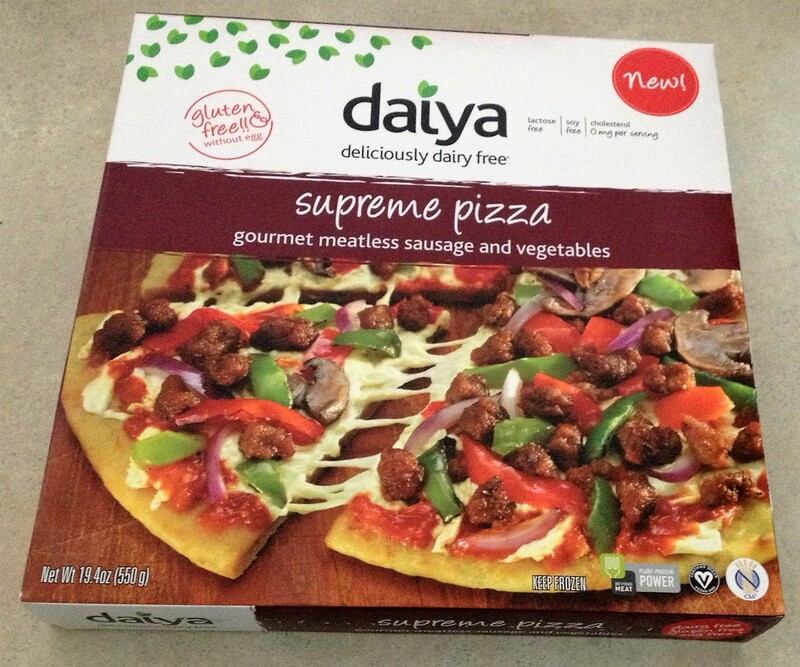 On this particular occasion we had the Daiya Supreme Pizza purchased from the frozen section of the grocery store. 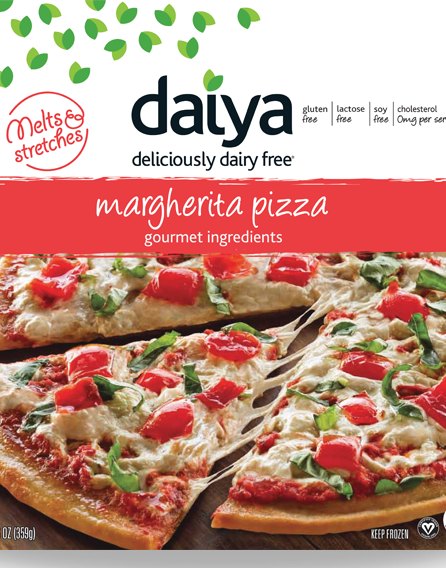 I like all of the Daiya pizzas that I’ve tried, but this is my favorite so far. I really like the combination of ingredients. 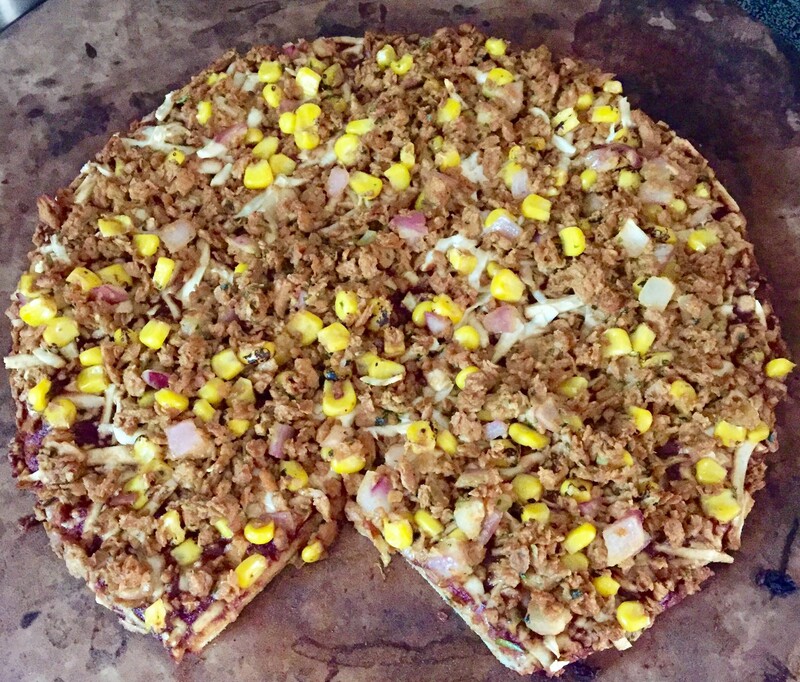 The pizza has Beyond Meat sausage crumbles, peppers and onions. 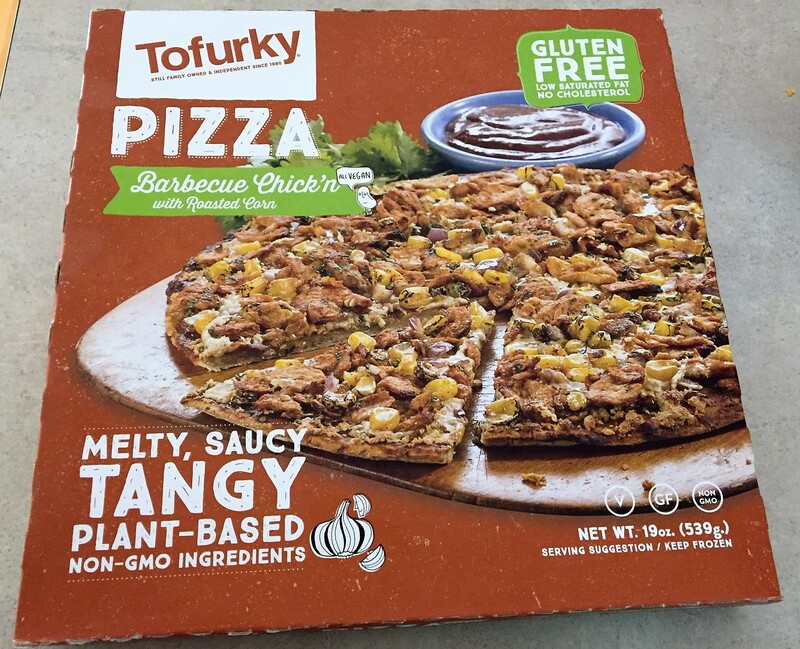 As a gluten free vegan, I don’t often get to have meat substitutes on my pizza. This is a nice treat and change from the norm. 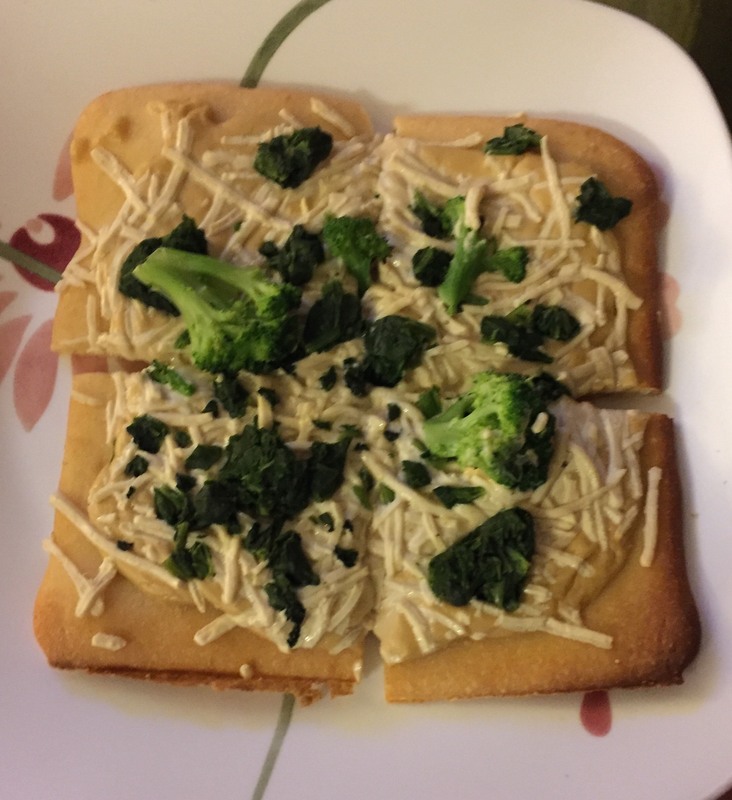 I enjoy how Daiya isn’t skimpy on vegan cheese or toppings. 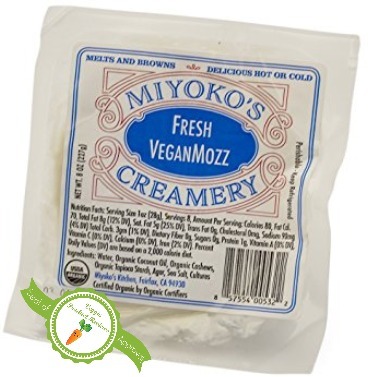 I’ve tried other vegan brands where there is barely coverage of the vegan cheese. Maybe it is just me, but I like a lot of vegan cheese on my pizza. I like it to be covered. If I’m going to have junk food, why not go all out? 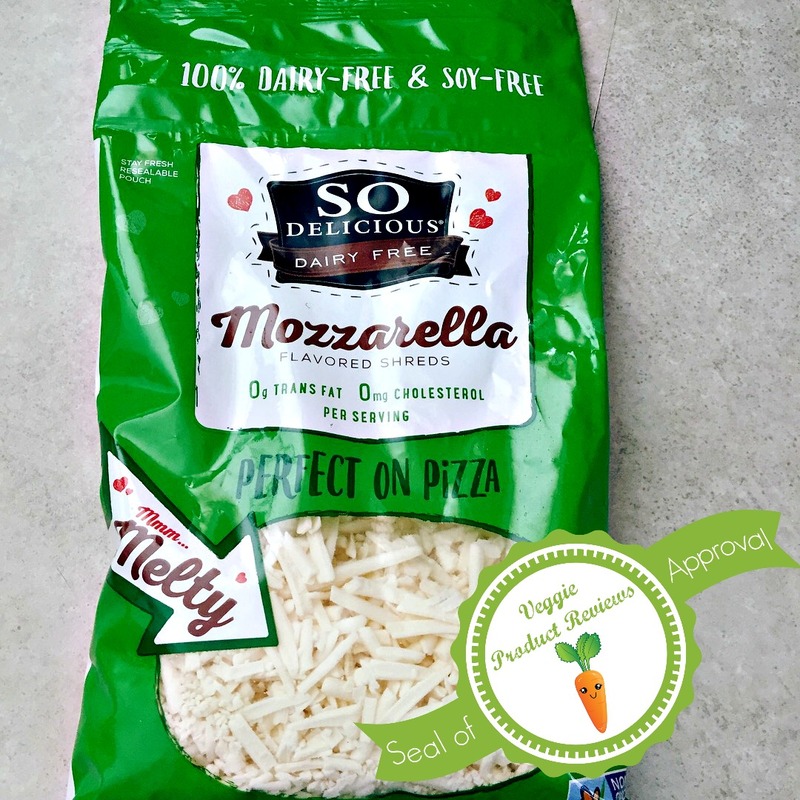 This pizza is a true winner for me and next time we buy a frozen pizza, I plan on it being this one. I like the other flavors as well and need to make sure that I’ve tried them all. I am sure you will see more pizza posts in the future. Happy snacking and relaxing! Let me start out by reminding you what the MoFo theme for today is: It’s cold and rainy and there’s a snow drift outside your door! What are you going to make using the ingredients you have? I’ve lived in North Carolina for 4 years. It’s only snowed here a handful of times during that period, but it definitely has happened. And when it does happen here, it’s best to stay home. Most people that live around here aren’t used to driving in the snow, and there aren’t very many snow plows, so it can be dangerous. I’ve never seen an actual snow drift here in NC, but during the previous thirty some years that I spent in Buffalo, NY, I’ve seen more than my share of snow and drifts. Large drifts. Like 8 foot tall drifts. Here’s what it looked like in December 2001. 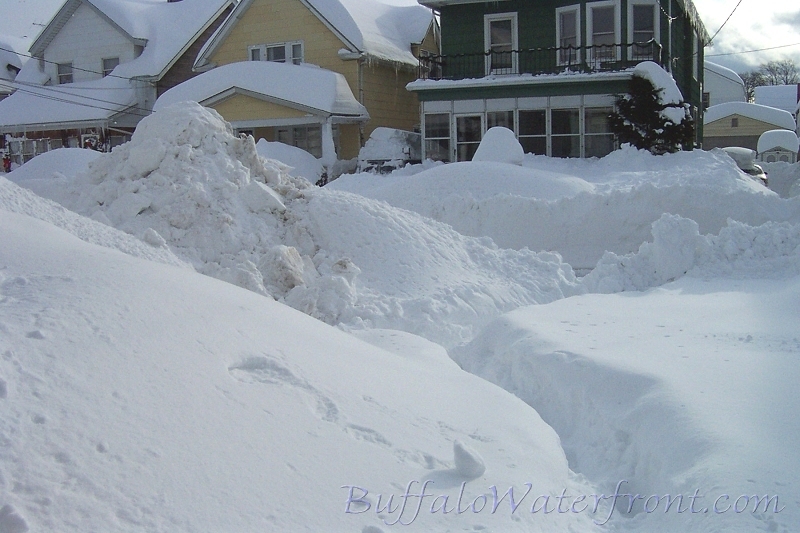 Several records were set during this storm, including 3 feet of snow within a 24 hour period, and 82 inches within a week. Luckily, I have a frozen Daiya pizza in my kitchen. I can pop it in the oven, relax, and enjoy the pretty white view outside. Ciao paisanos! Welcome to day 2 of Vegan MoFo 2015! Today’s theme is recreate a meal from your childhood. 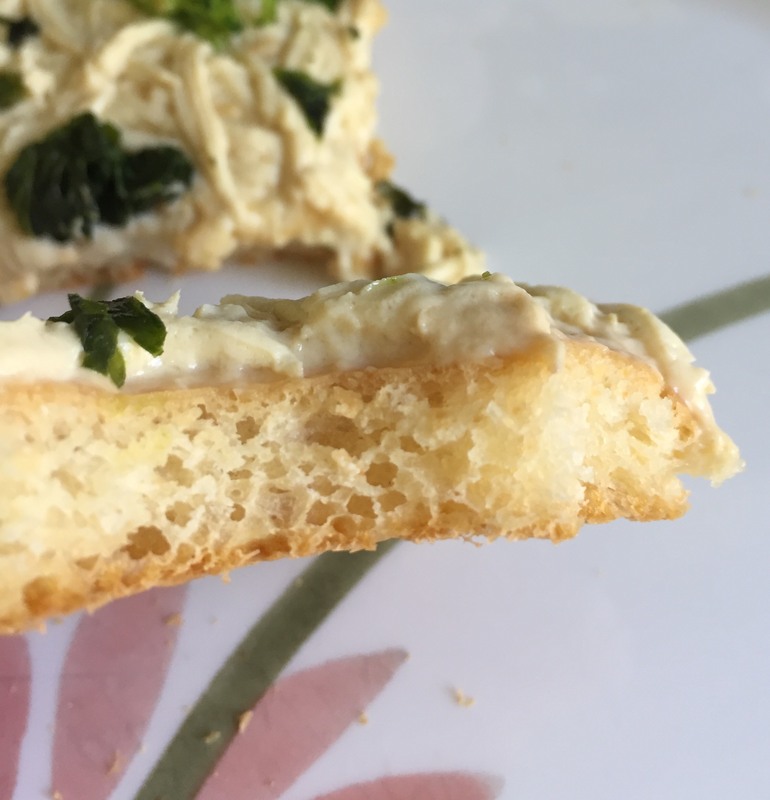 I’m half Italian and growing up my mom made pizza from scratch weekly and I loved it! I usually got my own small pizza with my favorite toppings or at least a half of a larger pizza. Which included hot peppers and hot sauce or red pepper flakes to amp up the spice level. 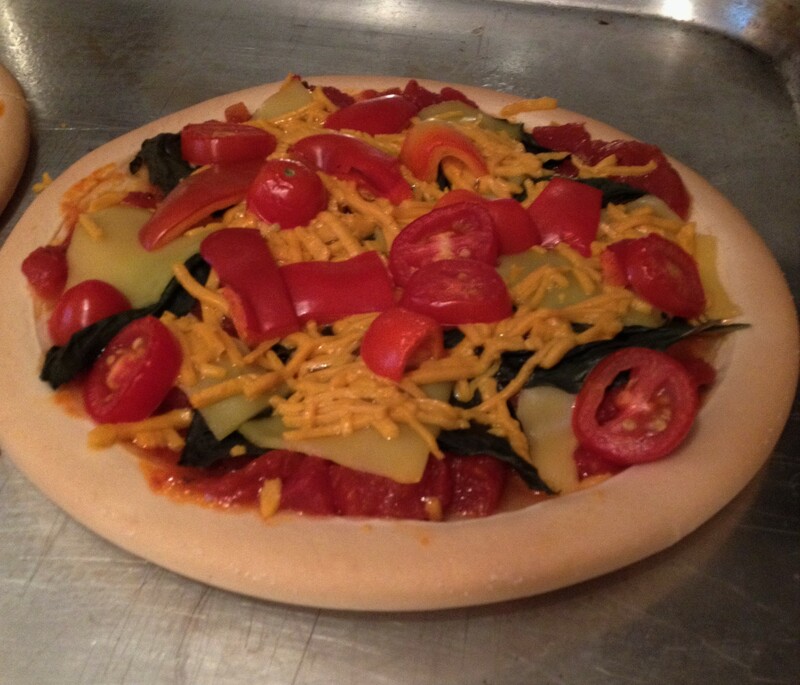 When I went vegan, I used to carry on the tradition of my Mom’s dough and add vegan cheese. Now that I’m also gluten free, I’ve lost the tradition. I have made my own dough, but it usually takes quite a bit of work and many different kinds of flour. Having a young baby, I don’t have that much time on my hands. When I see a vegan gluten free crust, I buy it. 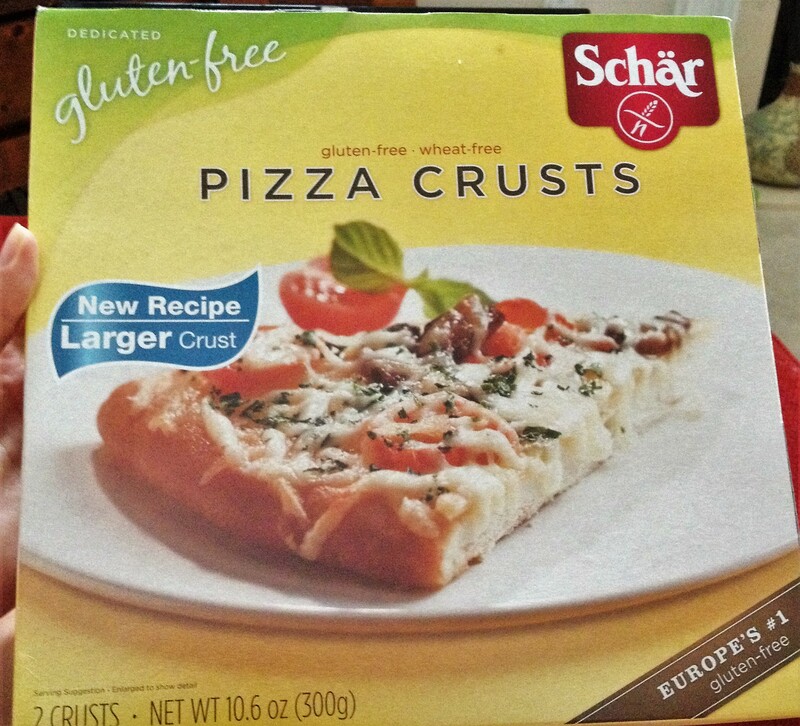 I recently found crusts by Schar at a grocery store at the beach. I bought it to take home and try it out. 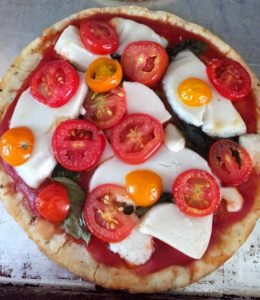 We didn’t have a lot of our favorite toppings in the fridge, so we went with items from our garden and CSA. The pizza ended up having Daiya cheddar (I know, that isn’t conventional- but that is what we had), Chao cheddar, basil and tomatoes from our garden, and bell peppers from our CSA. As you can see from the picture, we piled the toppings high. The crust had a very nice flavor and texture. It was crunchy where we needed it to be and soft under the toppings. The package contained two small shells giving us a pizza for dinner and one for leftovers. I have not seen these shells in my area, but if I do I am sure to snag us more boxes and have many pizza nights!